Falmouth Liars! Same Corrupt Behaviour In Ontario!! The 2010 Vestas noise warning letter kept secret for 5 years. 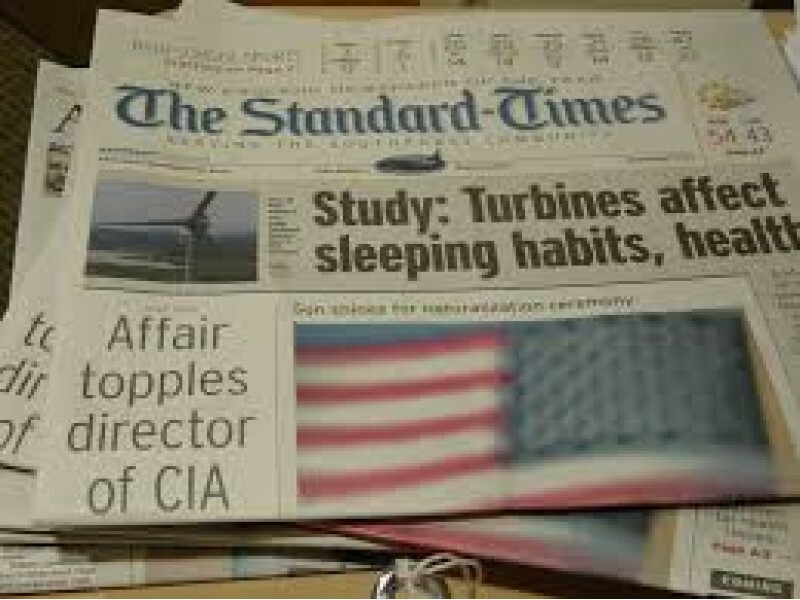 It is clear public officials always knew the turbines were too loud. Section 240-166 incorporates by reference the Bylaw’s general special permit requirements and also states that the ZBA shall consider adverse impacts on the neighborhood including noise. The ZBA has the power to impose conditions on the grant of a windmill permit. The Town of Falmouth has never posted or made public the Vestas 2010 wind turbine noise letter. Falmouth public officials owe it to the public to explain why they hid the letter for 5 years. After 5 years of noise complaints why didn’t at least one public official come forward. Thousands of certified written noise complaints have been made. The letter warned the town that the Vestas wind turbines they were purchasing were 6 decibels higher than the smaller General Electric turbines used in prior noise study models. The public-duty doctrine holds that the government and its officials owe a legal duty to the public at large. Why was the letter omitted and when do omissions become lies ? Federal prosecutors have weapons to prosecute public corruption, especially with respect to state and local corruption, where the pertinent statutes empowers them to challenge almost any unlawful, questionable or unethical conduct of a public official, subject to the prosecutor’s exercise of sound discretion. RICO prosecutions give prosecutors even more discretionary prosecution power. The Town of Falmouth never applied for Special Permits for their two town owned wind turbines. The turbines are named Falmouth Wind 1 and Falmouth Wind 2. Prior to the installations a private company conducted flawed acoustic noise models using 1.5 megawatt General Electric wind turbines that generate a maximum of 104 decibels of noise. The private wind testing company actually prepared Special Permit applications under the Town of Falmouth wind turbine bylaws. The Town of Falmouth never filed Special Permits for either turbine. The Town of Falmouth ignored its own wind turbine bylaw 240 -166 because the bylaw would require additional wind studies, notifications and additional time to install the Vestas wind turbines with a high rating of 110 decibels of noise . Recently through a FOIA, Freedom of Information Request it has been found the Town of Falmouth was holding back a year 2010 warning letter from Vestas wind company that the wind turbines being installed generated up to 110 decibels of noise. This is 6 decibels higher than the Falmouth Community Wind Project Site Screening Report November 2005. Special Permits would never have been issued under the Falmouth wind turbine bylaw 240 -166 with turbines that generated 110 decibels of noise. Under the Special Permit process additional notifications and time may have alerted local residents. There were NO noise studies for Falmouth Wind II. There were NO studies for a combination of Falmouth Wind 1 and Wind II. The town hid the embarrassing letter from public view. The town has never posted the letter on its website or mentioned the letter at any public meeting. The town while in possesion of the August 2010 letter made abutters to the wind turbines file elaborate certified written notifications to the town that the turbines were too loud. The town had always know the turbines were too loud. Vestas wind company told them in writing . It’s in Black and White ! Falmouth Town Meeting Members and the public in general are being kept in the dark over this letter while the town spends hundreds of thousands of dollars on a legal defense that is indefensable. Taxpayers are paying litigation fees for up to eleven types of ongoing litigation including nuisance, bylaw. permitting and appeals while the Town of Falmouth sat on this letter for five years. The Town of Falmouth was aware the turbines were 7 Decibels higher that the manufactures specifications. Every 3 DCB increase is a doubling of sound and acoustic power to the human ear and that is simply an intolerable increase. 1.) Health of nearby residents at serious risk: Sleep deprivation from wind turbine low frequency noise (thumping and rumbling heard and felt inside the homes of neighbors) have caused problems for many families. 2.) Turbine malfunctions, fires, ice throw sudden catastrophic blade failures: Wind turbine manuals detail that workers should “run upwind” a minimum distance of 1640 feet from a wind turbine which is on fire or in danger of blade failure to avoid the danger of flying debris. 3 Hidden Facts Show Turbines Should Never Been Built : Aug 3, 2010 noise warning, April 2, 2013 “memo and omission two types of noise. Falmouth is a microcosm for what is happening to many places in the US. The Town of Falmouth has declared the intention to use eminent domaine to remove annoying residents who have complained, and some, who have brought damage suits against the Town. EMINENT DOMAINE is gotten by developers who have themselves declared PUBLIC UTILITIES. Since wind power is a scam to collect public subsidies by producing intermittent and unreliable electricity, wind power MUST be stopped now!